Given the state of events over the past year, one could be forgiven for being a little tired of world politics at the moment. However, South Korean channel SBS has found a way of delivering the local election results that would bring a smile even to the most apathetic of voters. In SBS’s political coverage, the channel used the battle for the Iron Throne from fantasy epic Game of Thrones as inspiration. 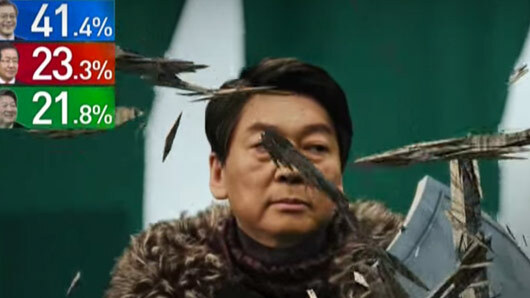 Superimposing political candidate heads on top of dragons, battleships and the throne itself, SBS’s presentation of the results might be the greatest thing we’ve seen in the world of politics for a while. Liberal politician Moon Jae-in emerged the victor of South Korea’s presidential election last night, ending nearly a decade of conservative rule in the country. We hope that someone at the BBC is taking notes.